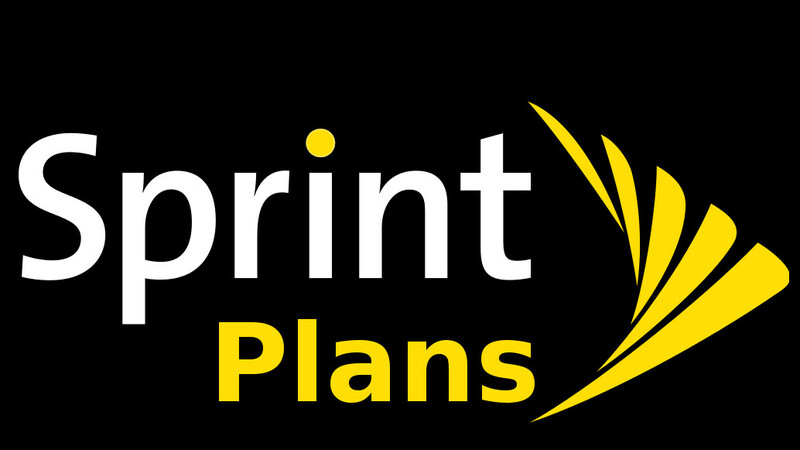 Sprint plans buying guide: what's the best Sprint plan for you? So, you're thinking about signing up with Sprint? The network prides itself on offering highly-competitive prices and does run regular promotions, so it's definitely hard to resist. There aren't many plans to choose from, but even then — some details about which one is the right choice for you may be a bit fuzzy. We studied them and compiled them in the hopes that we might help you find the best Sprint plan for you. Check them out below! Just like its competitors, Sprint offers an unlimited plan, which basically means that talk, text, and data are all included in your bill and you shouldn't worry about your usage throughout the month. To top it off, at the time of writing, if you buy a new phone or bring your own device with a new line activation, you get $10 off per line per month! Sprint Unlimited comes in three different flavors. You've got Basic, Plus, and Premium, each adding some extra perks for customers. So, what are the parameters? You get unlimited text, talk, and data. Bear in mind, your data requests might get deprioritized in congested areas, which would lead to occasional drops in speed during peak hours of the day. International texting is also included, as long as it doesn't include any picture, video, or audio messages. Unlike other major competitors, Sprint will allow you to stream video at up to a 1080p resolution. Multiplayer gaming over the LTE network will be capped at 2 Mbps on Basic and 8 Mbps (1 MB/s), while music streaming will only have a 500 kbps and 1.5 Mbps pipeline, respectively. On Premium, you get no cap, save for the 1080p video limit. On the flip side, you get a free Hulu Limited Commercials — you get all TV shows and movies with some ads in between — for free with Sprint Unlimited Basic. The other two tiers will get you Tidal Premium for as long as your Sprint contract lasts. And the most expensive Unlimited Premium plan will net you an Amazon Prime subscription and $20 of Uber credit (split in two separate $10 vouchers) per month! Keep in mind, both Hulu and Tidal can only be used on one device at a time. You are free to use your phone's mobile hotspot feature at no additional charge for a total of 500 MB / 5 GB / 100 GB per month. If you manage to hit the cap, your hotspot will be throttled to 3G speeds. Should you need more high-speed data for tethering, you will get to buy packages that'd cost $15 per 1 extra GB. If you figure you don't need an unlimited account, you can opt for the limited choice, which is less than ideal. We'll explore the prices and features here, but make sure to scroll down to the prepaid section and see how much of a better deal you can get there. So, the limited plan gets you 2 GB of high-speed data, unlimited talk and text. International texting is also included, but limited to text only — no pictures, audio, or video. If you hit the 2 GB data cap, you get throttled to 2G, but have the choice to buy an extra gigabyte for $15. This plan allows you to use your mobile hotspot feature freely, but be careful with that limited data package. Our recommendation: this plan really doesn't look like a good offer, unless the user is not a heavy Internet user at all, but does use the phone for tons of texting and calling. Otherwise, check out the prepaid options below for a much better offer. The great advantage of prepaid is that you shouldn't worry about your credit — there are no credit checks — and you are not tethered to any lengthy contracts. You pay — you get service; you don't pay — service is gone. The one disadvantage of prepaid is that you can't lease a device off the carrier, ergo you miss out on some deals and / or need to fork out a full price upfront. That said, let's see what Sprint's Prepaid plans have for us! This is the prepaid equivalent of the Sprint Unlimited plan with all the same parameters, line pricing, and even the special discount offer on 3+ line plans. The one major difference is that you don't get Hulu Limited Commercials, but hey — you still get 6 months of Tidal Hi-Fi (provided you renew your prepaid plan on time). The prepaid limited plan will get you unlimited text and talk plus 4 GB of data for $45 per line (minus $5 per line if you set up AutoPay). That is a better deal than the 2 GB you get on the regular $45 plan for sure. The downside is you don't get to lease a device from Sprint. As for the plan's parameters: talk and text, including international text, are unlimited. After you pass the 4 GB cap, you will be throttled to 2G speeds. Additional high-speed packages can be bought at $15 per 1 GB. The phone's mobile hotspot feature is unlocked. Our recommendation: the prepaid 4 GB plan is twice the better deal than the 2 GB on-contract plan. Plus, it's a no-strings-attached type of deal. We see no reason for one not to go with this choice. Of course, if you have a tablet, 4G modem, or smartwatch, you can get plans specifically tailored to your device. Tablets are a bit more limited when it comes to speed caps. Video streaming resolution tops out at 480p, music only gets a 500 kbps pipeline, and gaming is capped at 2 Mbps. You can, however, buy an HD package for an extra $20 per month, which unlocks the speeds up to Sprint Unlimited levels — video at 1080p, multiplayer gaming at 8 Mbps, and music streaming at 1.5 Mbps. You can still use your tablet as a hotspot for up to 10 GB per month. After that, the hotspot feature will be limited to 2G speeds, or you can get an extra GB for $15. Sprint currently supports the Apple Watch smartwatches. At $15 per month, you get unlimited talk, text, and data. Even better — first-time subscribers will get their first 3 months for free. Yes, that may be a bit costly, but at least the good news is that your unused data will carry over to the next billing cycle. If you happen to reach your cap, you will be limited to 2G speeds. Alternatively, you can buy a hotspot data package for $10 per 2 GB. Not bad. WTF is this. Google sprint free year of unlimited data and get a free year of unlimited data on sprint. do not waste your money on Sprint network, its s**t.
Former Sprint subscriber; been with Google Fi for just over two years now. This is one of the reasons I left. Heaven help a new subscriber who's trying to figure out which plan makes (any? the most?) sense for them in a given month, year, etc. Fi may not be strictly the cheapest option out there, but it's such a fresh air to be able to look at your usage in the app on the 20th day of the cycle and predict your bill with $10. Very confusing, but i used Sprint for 15 years then i switched to T-mobile. Sprint was better. Im in the Northen Virginia area. T-mobile is very Spotty here even when i have 5 bars it just does not work. Everybody says bad things about Sprint, i liked it.